Just wanted to share this photo with you. My wife took it yesterday in our back yard with her new camera. 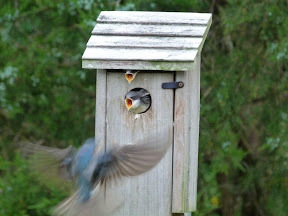 They are barn swallows that return every year to the same box.